Is Brazil’s recent success sustainable over the coming decade? Is Brazil's success sustainable in the 2010s? President Lula created the foundation for the new Brazil. President Rousseff must sustain the gains. It is a tall order, but no longer impossible. During Lula's reign, the U.S. share of Brazil's trade collapsed, while China's share soared. In Lula's era, the real more than doubled in value against the dollar. To emulate the Asian trajectory of growth, more reforms are needed in Brazil. Only a month or so before, the favelas of Rio de Janeiro turned into a war zone as police, marines and armored vehicles confronted drug traffickers in Vila Cruzeiro. The clock is ticking down — Rio will host the 2014 World Cup and the 2016 Olympics. Rousseff intends to continue the economic policies of her predecessor and mentor, Luis Inácio Lula da Silva. But it will be neither easy nor smooth. Can she sustain the country’s recent economic gains? Pure free market doctrines do not work in a large developing economy, especially one that is still emerging from extreme poverty. The market economy’s invisible hand needs to be balanced with the visible hand of the central government. Like Lula, Rousseff wants to influence economic policy herself, which is why she appointed her confidante, Miriam Belchior, as planning minister. With a strong grip on the legislature, Rousseff kept Guido Mantega, Lula’s finance minister. During the credit crunch, he boosted public spending. More recently, however, the increases have contributed to the overheating of the economy and inflation. In fact, the real had more than doubled in value against the dollar during Lula’s reign. 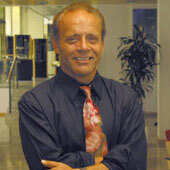 It was Mantega who was among the first to coin the term “currency war” in September 2010. As Brazil’s interest rate climbed to 11% and the U.S. Federal Reserve launched its second round of quantitative easing (QE2), he criticized the Fed’s loose monetary policy for driving money to emerging markets and boosting asset bubbles. “It’s no use throwing dollars out of a helicopter,” as he put it. In order to suppress the real’s rise, he tripled a tax on foreign purchases of Brazilian bonds. Rousseff must cope not only with indigenous inflation but “imported” inflation as well. The new head of the Central Bank, Alexandre Tombini, is increasing the benchmark rate to curb inflation. Rousseff would like the benchmark interest rate to fall to 2% in real terms, and that requires a tight fiscal policy — a message that was highlighted by the appointment of Antônio Palocci, a former finance minister, as her chief of staff. Rousseff’s ultimate success will certainly have a lot to do with the course taken in Brazil during the Lula era. However, it will also have something to do with decisions made far away — in Beijing. In 2002, Lula inherited a large nation on the verge of economic implosion. With anemic growth, international reserves were evaporating, hyperinflation was at the door and international investors were fleeing. Unsurprisingly, markets for Brazil’s sovereign debt were anticipating an imminent and chaotic default. Regional prospects looked no better. Only a year before, Argentina had defaulted amidst social unrest, which pushed the country’s middle class into poverty. Global conditions were dire. In the aftermath of the tech bubble, global growth seemed subdued. As soon as Lula arrived in the capital, he called for a slate of emergency cabinet meetings and solicited his ministers for tax-reform proposals and fiscal investments to boost capital investments in order to achieve growth rates of 5%. In a matter of weeks, Lula had calmed the markets with a slate of appointments. A former international banker, Henrique Meirelles, took over the Central Bank, while Palocci, the new finance minister, announced a stringent fiscal policy. Along with macroeconomic stabilization, Lula fought for substantial change. Old faces were not enough — new people were needed to initiate a truly new era in Brazil. But there is more to the story. Lula’s economic policies were also born under favorable stars. In 2001, China joined the World Trade Organization (WTO). Shortly thereafter, Lula initiated Brazil’s economic reforms. The main Brazilian exports were commodities whose prices depended significantly on the demand of China and the United States. When Lula won the presidency in 2002, Brazil’s main trading partners were the United States (25.5%), the Netherlands (5.3%), Germany (4.2%) and China (4.2%). Over the eight years, the U.S. share collapsed, while the Chinese share more than tripled. By 2009, Brazil’s main trading partners were China (13.2%), the United States (9.6%), Argentina (7.8%) and the Netherlands (5.0%). The writing was on the wall. As long as demand in these two nations continued for commodities, Brazil will continue to grow — but if demand were to fall abruptly, the situation could get difficult. In 2010, Brazil grew by 7.5%, as fast as in 1986. Coupled with the appreciation of the currency, the nation’s GDP soared to $2.1 trillion. 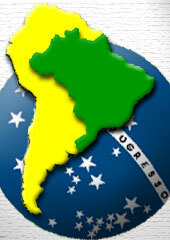 Brazil overtook Italy to rank as the world’s seventh-largest economy, while GDP per capita surpassed that of Mexico. A day after the release of the annual figures, the Central Bank raised interest rates by 0.5% for the second time this year. Brazil would prefer to have a more manageable growth target (in the range of 4.5-5%). However, Brazil is now struggling with increasing overheating — and the nation’s postwar economic record provides many examples of unsustainable growth. In the early 2000s, Brazil was among the four large emerging economies with the greatest growth potential in the future. It was also one of the very few that managed to couple robust growth with reduction of inequality, especially through cash-transfer programs which had been initiated during President Cardoso’s rule in the 1990s. When Lula won the presidency heading the left-wing Workers’ Party (PT) in the early 2000s, his primary objective was first to stabilize the economy and then to lay a foundation for the struggle against poverty, and it was the poor who he spoke to. In the 2010s, Lula’s success has shifted the emphasis of the government to the booming economy and expanding middle class. Now the goal is to provide new opportunities for the upwardly mobile, while ensuring income transfers to the poorest. In the past few years, international investors have taken note of the Brazil story. What 15-20 years ago was seen as a lost cause is now considered one of the most attractive emerging markets, as evidenced by the recent purchases of Blackstone and JP Morgan Chase in Brazil. However, to sustain growth in the 2010s, Rousseff must be able to manage the rising inflation, an overvalued currency and large increases in consumer credit. In order to realize its full BRIC potential, Brazil has to undertake seven critical steps. First, reduce the importance of the informal sector. Second, correct macroeconomic deficiencies (including the high interest rate and a relatively high government-debt-to-GDP ratio). Third, reduce the notorious red tape. Fourth, streamline the labor code. Fifth, contain political corruption. Sixth, improve the quality of public services (e.g., education, justice and security). And seventh, develop new infrastructure. In order to engage in the Asian trajectory of growth, however, even more reforms are needed, including far greater trade openness, significantly higher investment and savings and substantially lower public and foreign debt. President Lula created the foundation for the new Brazil. President Rousseff must sustain the gains. It is a tall order — but no longer impossible. Brazil: An Object of History — or a Subject?